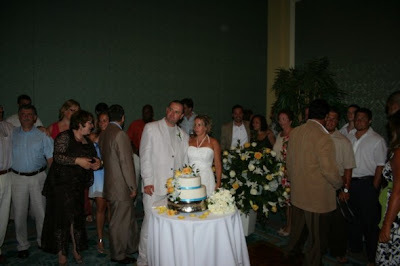 Some people have been asking me whether I plan and officiate at larger weddings, and the answer is yes, however the wedding below was planned by the Ritz-Carlton Grand Cayman Special Events Department. 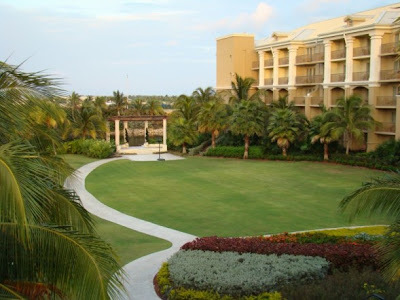 I was pleased to get some photos from the groom, because I wanted to show you the set-up on the Ritz-Carlton, Grand Cayman beach, where the wedding was held. Set-up for a group of 60. 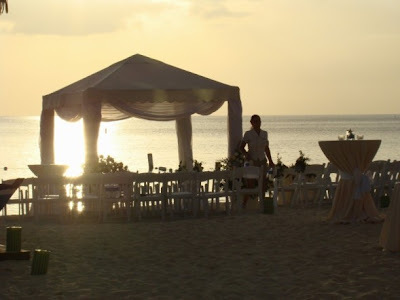 Cocktails were served on the beach immediately following the ceremony. 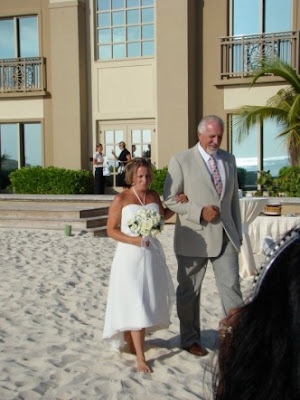 Here is M being escorted by her dad, to where her groom waits, watched by a large group of family and friends. 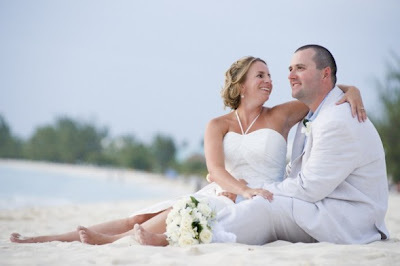 This couple wanted a Unity Sand Ceremony using their wedding colours of lemon and sky-blue. They provided a reading which I did while they poured their sand together. This bouquet is very in vogue at the moment, I didn't think at the time to take a closer look at the different flowers which were included. Beach shot after the ceremony. 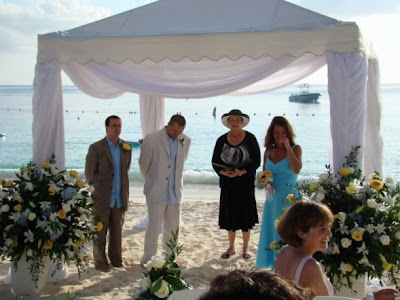 If you plan to be married at the Ritz-Carlton, Grand Cayman you can request that I officiate at your wedding ceremony. 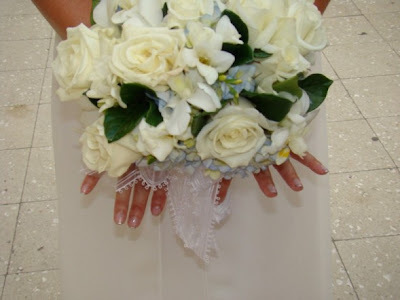 I will work with you to personalise the service, whether for a wedding or wedding vow renewal.